Google is always changing things up, which has created the need for this “Independent Hotel and Resort Google Guide”. Last year, Google announced that many of their services are now offered as ‘Google My Business’. This group of integrated services is vital for independent hotels and resorts, and now, it’s a bit easier to navigate, too. 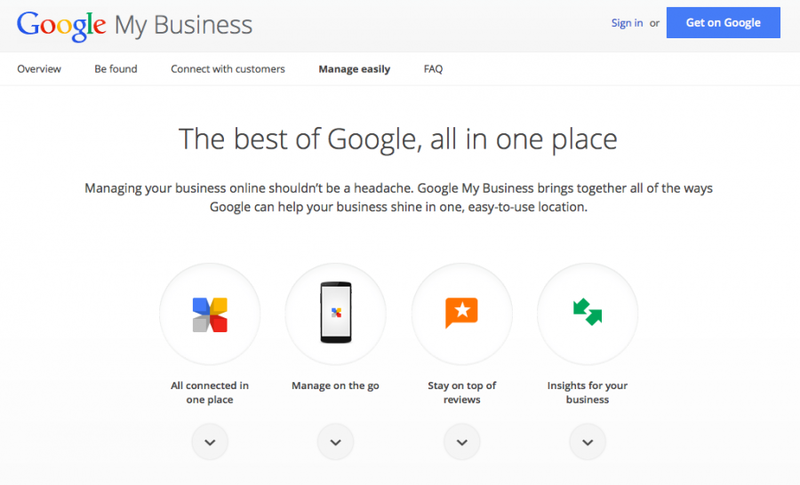 If you have previously used Google Places for Business or Google+ Pages dashboard to manage your business information, you will notice that your account has been automatically upgraded to the ‘Google My Business’ dashboard. Navigation is a bit different, so take a few minutes to learn the new lay out. There are online pop-ups that will help you through it. Let’s walk through some of the commonly asked questions and comments that I have received from property owner’s and hospitality employees, whom I coach regarding Inbound Marketing development, including all things Google. Actually, the list of services I’ll explore in this article are all FREE. Yes, Google may try to persuade you into using paid services like Google Adwords, but don’t be fooled into subscribing unless that is something you want to do. Once you have a Google account you will be have access to all of these services through one dashboard. Setting them up and integrating them is up to you. Gmail stacks and organizes conversations into threads for easy reading while storing an ample amount of email (10+ Gb). Customizing folders and labels allow you to logically and visually organize email. Gmail can be setup with your domain –example Lynn@yourhotel.com. 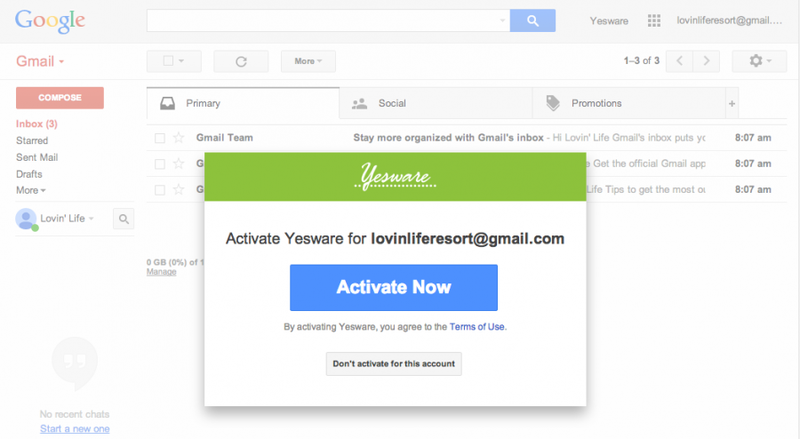 It also has the ability (in Chrome browser) to add certain apps like Yesware to make routine correspondence, like welcome letters to your guests easier, essentially automating these tasks. All this with thorough malware, virus checking and excellent spam handling features. Google Local (formerly Places) is one of the most important placements that any business can subscribe to. It provides a snapshot of your hotel or resort that appears in Google Search & Maps. It also provides great SEO (Search Engine Optimization) opportunities. As Google tries to compete in the travel market, the guest reviews listed in Google Local receive as much persuasive power as TripAdvisor reviews do. Don’t forget to add 10-15 of your top photos as well. Pictures sell. Google+ Is Google’s answer to Facebook. As Google moves resources to more fully support this feature do not expect it to go away anytime soon. For hoteliers, using Google+ links to/from your website is a great way of establishing reputable links that search engines value when crawling. If you’re using Gmail, it is a great way of connecting with past guests via a one-click ‘add to circles’ to increase your repeat guest rate and to seamlessly stay in touch. Google Analytics tracks your website traffic and inbound marketing efforts. It allows you to follow demographic metrics like geographic location of your guests. For anyone that spends any time with online marketing, it is a must-have and is the source that many paid analytics companies use. Why pay for it when you can get it first-hand for free? Webmaster Tools is a tool that reports on your website ‘health’ like sitemap performance and crawl errors. It will uncover important SEO issues like ‘duplicate content’. If you do not manage your website yourself, be sure that your web developer is monitoring this important tool. I recommend starting a Gmail account for your web tools and analytics and asking your web professional to add this Gmail to your Webmaster Tools and Analytics accounts. That way you will avoid losing access to it for a variety of reasons. Doing this will also make these reports available to you directly. Small ‘Indie’ hotels and resorts need every advantage to compete in the ever-changing hospitality world. Make no mistake, no matter how stable your ‘local’ lodging property is today, attracting new guests and keeping the old ones will depend on having a farther reach and better communication. The most affordable way to do this is through online marketing efforts that include these free Google services. Go to https://www.google.com/business and click on the ‘Get on Google’ button. Allow yourself ample time for setup of the various services. If you have an ‘intern’ or assistant ask them to do the initial opening of services and work together to add content and optimize your pages to meet your business goals. I suggest completing them systematically, maybe one a week until they’re complete. Then revisit them as needed. Keep track of what you’ve signed up for and when. Good luck! Let me know if you’ve found these services to be easy to setup and beneficial to your business. I’d love to hear from you at Lynn @ SocialEnergizer.com. Social Energizer provides attractive, Responsive Mobile-ready web design with a focus on crafting healthy, over-achieving websites for hospitality clients. Hands-on guidance building operational infrastructures includes help with website booking engines, property management system (PMS), online credit card acceptance, and GDS/OTA integrations. Our focus is for independent resorts and hoteliers to systematically keep costs down and increase profits. Assistance and training in SEO, analytics, Google Adwords campaigns, reputation management, sales source tracking, and social media (aka inbound marketing) are just a few more of the challenges we help hospitality teams tackle. This article originally appeared in the Wisconsin Hotel & Lodging Association’s InnTouch magazine’s Summer 2014 edition. I’d like to thank them for the opportunity of reaching out to local innkeepers. I often recommend this very professional Association, run by a very small, but diligent team. Their focus on the welfare of the hospitality industry and the travel business in Wisconsin is vital and they are to be applauded for all they do.